LOCATION: Iran, one of the world oldest empires, lies in southwestern Asia, and is an important country in the Middle East. CHARACTERISTICS : Traditionally Iran, or Persia as she was formerly called, is the land of sunshine, roses, and poetry. In the capital city Teheran, the age-old way of life is fast giving way to the westernization movement fostered by the former Shah of Iran during the first half of the 20th Century. Modern style homes, apartment and office buildings are rapidly replacing the adobe huts and ornately tiled palaces of the past. Iranians are well known for their hospitality and are particularly delighted when visitors from abroad appreciate the artistic contributions of this ancient country. POPULATION : Estimated at 18,000,000. SIZE : 628,000 square miles, twice the size of France. 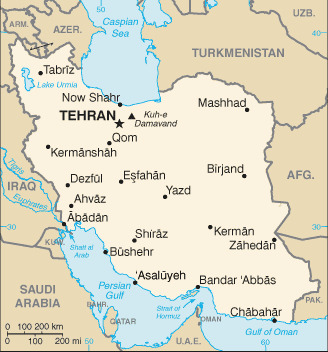 CAPITAL: Teheran, with a population of 1,200,000. GOVERNMENT: Iran is a constitutional monarchy. HOW TO GET THERE : Direct service by Clipper from New York, Paris, Rome, Beirut, and other major world centers. By ship it can be reached only on cargo steamers stopping at the Persian Gulf. ACCOMMODATIONS : Hotels in Teheran include the Park, the Ambassador, the Atlantic, the Pacific and the Plaza. The Darband Hotel is located in the fashional summer residential suburb. Be sure to reserve well in advance. ARTS : Iran has gained fame the world around for its finerugs and delicate miniature paintings. Samples of the finest of these and other works of art are on display at the museums in Teheran. BANKS : Bank Melli Iran, which has accounts with many foreign hanks: Bank Bazergani Bank of Teheran Sepah Bank. CALENDAR OF HOLIDAYS:As in many other Moslem countries, the official holiday is Friday, at which time most of the stores and all Government offices are closed. CIGARETTES AND TOBACCO : American cigarettes cost around 40 cents a pack. Local brands are considerably cheaper. CLIMATE : Teheran, Isfahan and Shiraz have a climate similar to that of the southwestern part of the U.S. April and October are the pleasantest times of the year to visit Iran. CLUBS : These include the American Officers Club, Teheran Club, Masonic Lodge, Iran Club and the Iran-American Society. COMMON COURTESIES AND LOCAL CUSTOMS: There is no limit to true Iranian hospitality, which commences with Persian phrases meaning ‚“my home is all yours‚ or ‚“I am your slave.‚ One is expected to join one‚„s host for a cup of tea, which may be served at any time of day or at any place. When invited out to eat at the home of an Iranian one should not expect to begin the evening meal, which consists of endless courses, to start before 10 p.m. It can be very embarrassing to admire a particular object in an Iranian‚„s home only to have your host present it to you. COMMUNICATIONS : International telephone and telegraph. Airmail to the U.S. is approximately $.14. CURRENCY: The monetary unit is the Rial, with a fluctuating exchange rate of about 75 Rials = $1.00. There are no restrictions on currency imported, but exportation of Rials is limited to 2,000. All travelers checks or money must be declared on entry and exchanged at the Bank Melli (National) in Teheran, or at the airport. CUSTOMS REGULATIONS AND DOCUMENTS REQUIRED FOR UNITED STATES CITIZENS: Passport and immunization certificates. Duty-free imports are limited to 100 cigarettes, 10 cigars, or XA lb. of tobacco and one opened bottle of liquor. Permission must be secured to take pictures with movie cameras. DRUG STORES : Better drug stores carry both European and American products. They sell only drugs and medical supplies. ELECTRIC CURRENT : 220 volts 50 cycles a.c.
FOOD: Both European and Oriental foods are available in restaurants. The best restaurants are: Chez Souren, Park Hotel, Palace Hotel, Plaza Hotel, Darhand Hotel, Ritz Hotel, and Lucullus. For the national specialty A Chelow-Kebab‚ (special rice with Kebabs) go to Fards in the Shimran suburbs or to Shamshri near the covered bazaar. LANGUAGE : The official language is Persian but English and French are usually understood by personnel in hotels. LAUNDRY : Laundries, including those with dry-cleaning facilities, can be found and prices are low. LIQUOR : Vodka, beer and wine are the most popular local drinks. Foreign liquors are available but expensive. MEDICAL FACILITIES:! 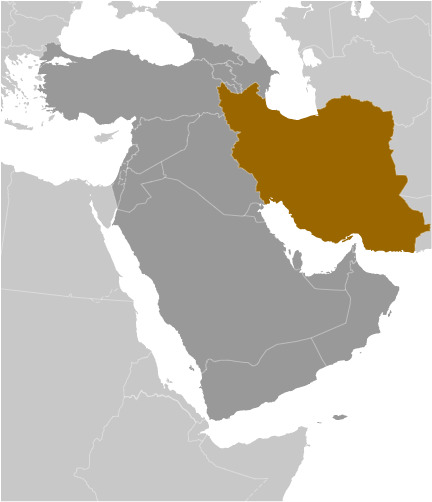 Iranian staffed hospitals. MOTION PICTURES: Theaters in Teheran, show films in English, Italian or French with Persian sub-titles. The best are Rex, Metropole, Royal, Diana, Iran, Mayak, Chrystal, Taj and Homa. NIGHT ,CLUBS: The Palace Hotel offers the best floor show entertainment in Teheran. Other places of note include the New Park and Luculles. Several of the hotels have dancing. RELIGION: The official religion is the Shia Sect of Islam. SHOPS AND STORES: The main markets of Teheran are the covered bazaar and the more modern central shopping areas along Lalezar Avenue and Istanbul Avenue. Imported items are usually quite expensive, but’ wonderful bargains in Iranian copper and brassware can be found. TRANSPORTATION: Teheran: Plentiful and inexpensive. Cars for hire starting at $10.00 per day are available through the hotels. Airline, bus and hired car facilities are available. WATER: Travelers are advised to drink only boiled water, tea, or sterilized bottled drinks. Pure bottled water is not available. Drinking water can be obtained through the U.S. Embassy. WHAT TO BUY: Rugs, jewelry miniatures, silverware and brassware, A geeveh‚ (Persian shoes), embroidery. WHAT TO WEAR: Summer requires the lightest weight clothing, but should include suit coats for men and long sleeved apparel for women. A light jacket or wrap is usually needed in the evenings when dining outdoors. Overcoats for winter.